With this order, the revised order value for the Bhusawal TPS Unit 6 EPC project is now ~Rs3,750cr. 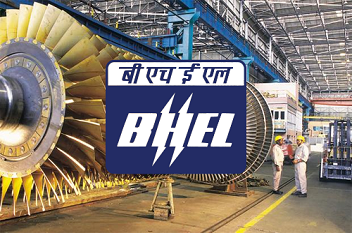 Bharat Heavy Electricals Ltd (BHEL), in a press note to the exchanges on Wednesday, informed that it has won an additional order for emission control equipment for Bhusawal 660 MW Supercritical power project from Maharashtra State Power Generation Company (Mahagenco). "With this order, the revised order value for the Bhusawal TPS Unit 6 EPC project is now ~Rs3,750cr. The initial order was won by BHEL against stiff International Competitive Bidding (ICB)," the company said in a press note. Bharat Heavy Electricals Ltd's share price is currently at Rs71.25, up Rs0.25, or 0.35%, from its previous close of Rs71 on the BSE. The scrip opened at Rs71.30 and has touched a high and low of Rs71.60 and Rs70.70, respectively. So far, 24,74,945 (NSE+BSE) shares have been traded on the counter. The current market cap of the company is Rs24,722.65cr.